On this date in 1936, Jesse Owens, one of the greatest athletes in Olympic history, won his fourth gold medal of the eleventh olympiad. 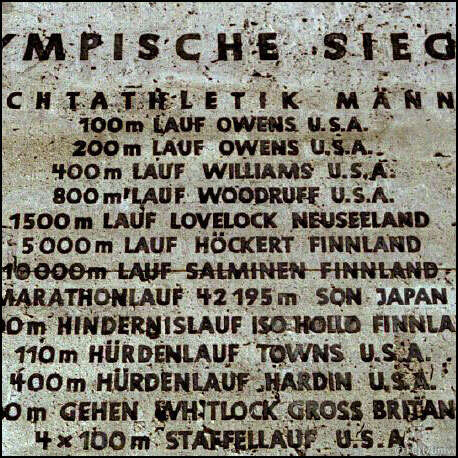 Although the success of an African-American was a disappointment to the Nazi Party, the 1936 Olympics accomplished the goal of presenting the National Socialist regime favorably to the world. Owens was welcomed warmly by the German people and despite a rumor at the time, he did not think he was snubbed by Hitler. In fact, he complained that the snub came from FDR who did not congratulate him via telegram or invite him to the White House with the white athletes. The Nazis had also made an effort to disguise their antisemitism by temporarily removing restrictive signage from around Berlin. Curriculum connectons: antisemitism, Berlin, Hitler, Holocaust, Nazi architecture, Olympics, Owens, politics in sports, racism, segregation, sports, Third Reich. 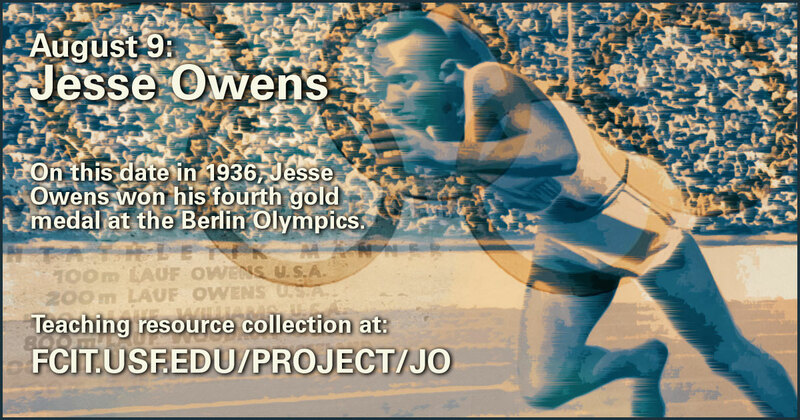 Use this banner on social media to share our collection of resources around Jesse Owens and the 1936 Berlin Olympics. 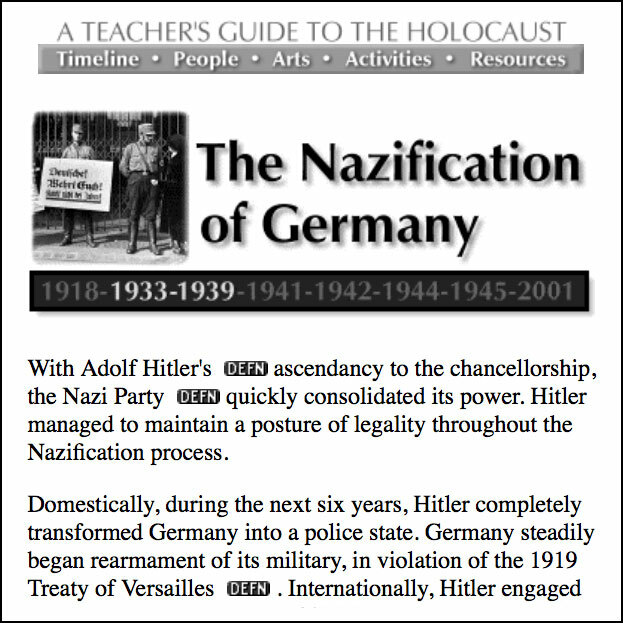 This timeline of the period 1933-1939 gives a high-level overview of the actions of the National Socialist Party in Germany between the time Hitler is appointed Chancellor and the beginning of WWII. The Nazis looked forward to the games as a chance to put forth a favorable image of the regime. From the Teacher’s Guide to the Holocaust. 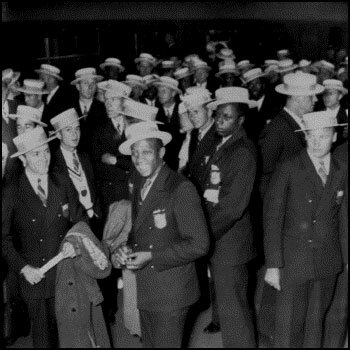 Jesse Owens and other members of the 1936 U.S. Olympic team arrive in Berlin, circa July 26, 1936. Photo from the Teacher’s Guide to the Holocaust website. 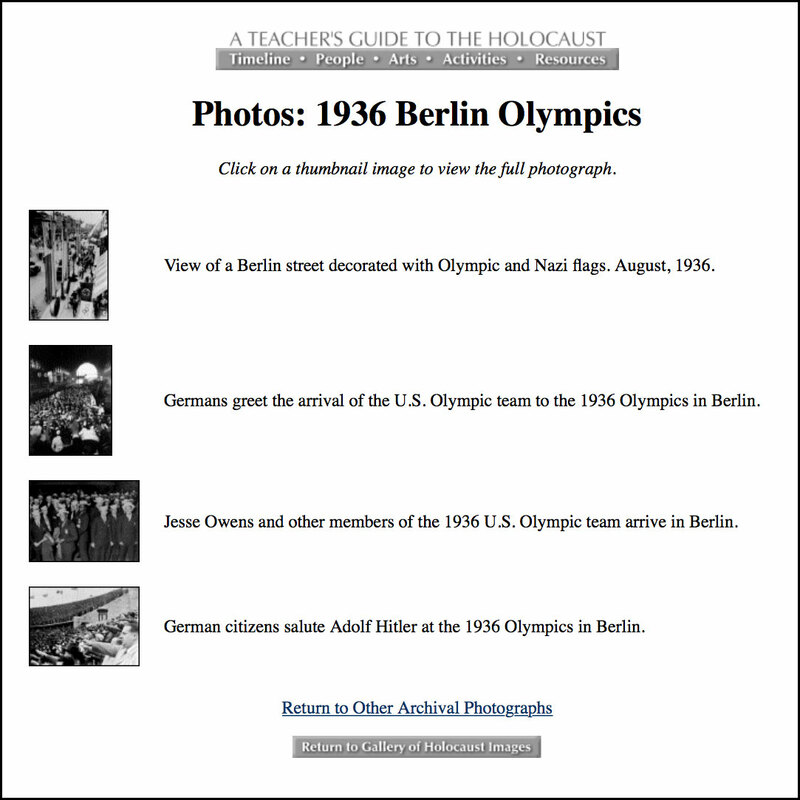 A small collection of photographs of the 1936 Berlin Olympics from the Teacher’s Guide to the Holocaust website. 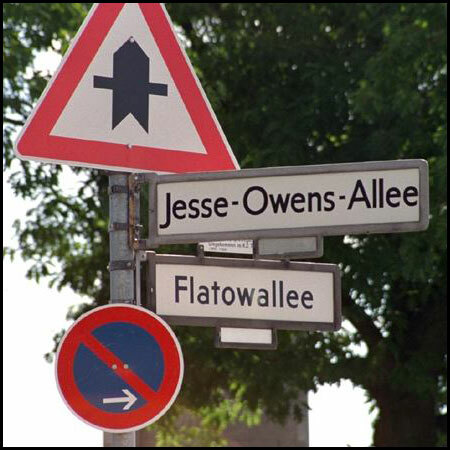 In 1984, a street near the Berlin Olympic Stadium was renamed in honor of Owens. Photo from the Teacher’s Guide to the Holocaust website. 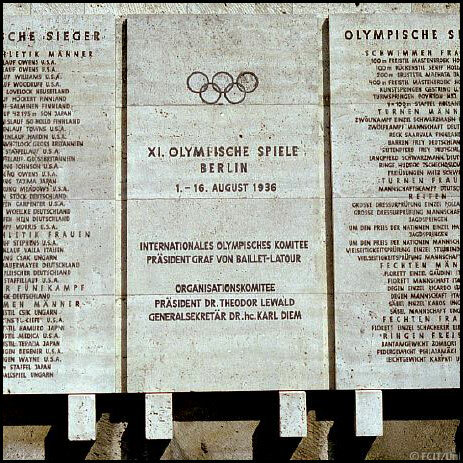 Roll of gold medalists on a plaque at the Berlin Olympic Stadium. Owen’s four gold events appear in the left panel as: line 1 – 100 m sprint (Lauf), line 2 – 200 m sprint (Lauf), line 13 – 4 x 100 m relay (Staffellauf), and line 16 – long jump (Weitsprung). From the Teacher’s Guide to the Holocaust website. Jesse Owen’s name appears in the first two lines in this photo. 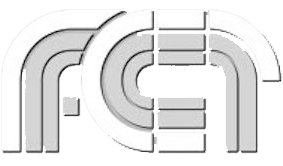 The bottom line in the photo references the relay. From the Teacher’s Guide to the Holocaust website. 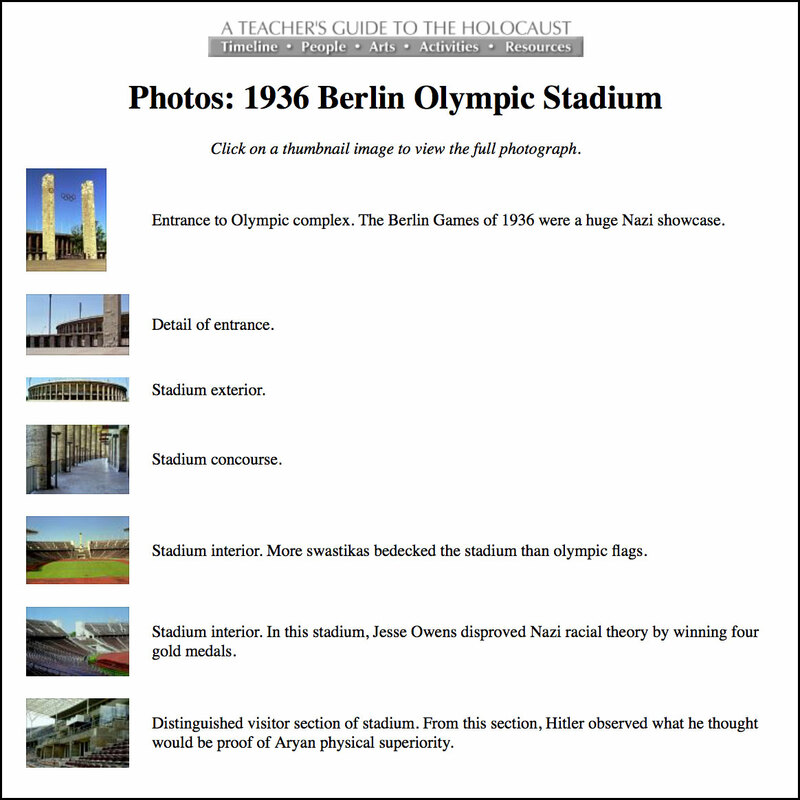 Twenty recent photos of the Berlin Stadium from the Teacher’s Guide to the Holocaust website. 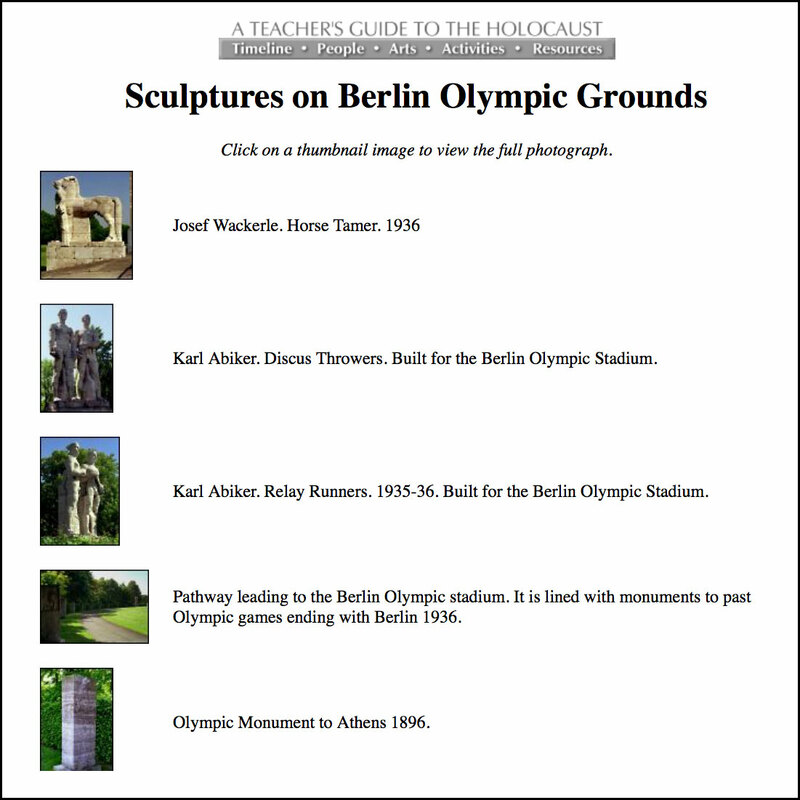 Eleven recent photos of sculptures on the Berlin Olympic Stadium grounds. From the Teacher’s Guide to the Holocaust website.